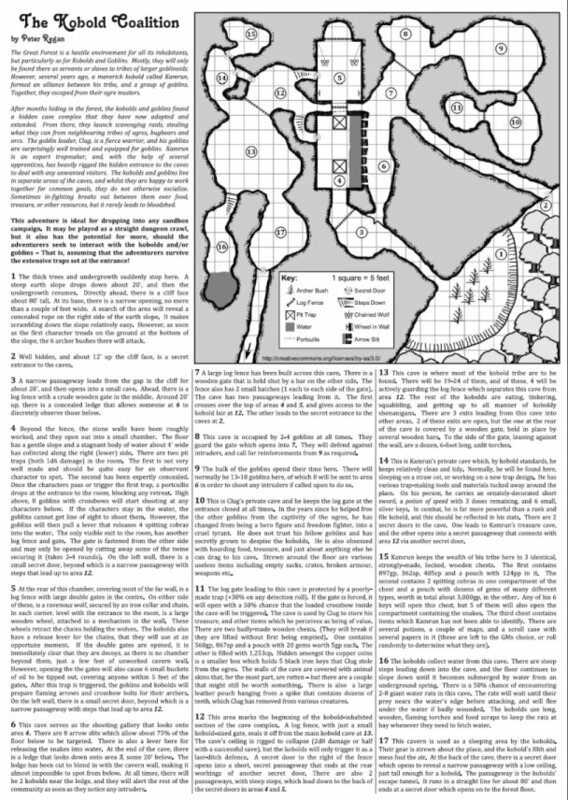 Over the weekend, I took one of the adventures that will be in Oubliette Issue 8 and adapted it to fit on a single A4 page. Considering the full version will be about 5-6 pages in the magazine I think I did quite well to manage it. One thing that struck me when I did the layout, was that reducing the font size down to 7 or 8 points, instantly gives the text a more Old School feel. I guess it's mostly nostalgia for all the hours I spent wrecking my eyes reading the DMG as a kid. 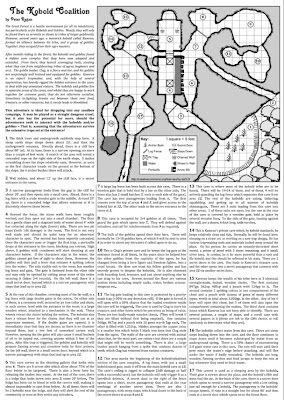 I wouldn't suggest trying to read the text of my entry from this image but if you pop along to the One Page Dungeon Contest site, it should be available as a PDF download when the site gets its next update.